We’re still yet to discover the World Cup winners but teams across the country found out their opposition in the early rounds of the FA Cup and Vase competitions. 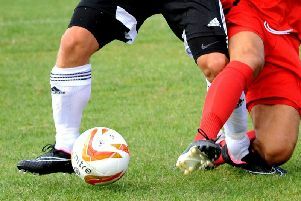 Shoreham, Lancing, Mile Oak, Southwick, East Preston, Littlehampton Town, Wick, Arundel and Worthing United have all learnt their fate just a few sessions after returning for pre-season. Bob Paine’s East Preston have been drawn to face Combined Counties Premier Division Balham in the FA Cup extra-preliminary round on the weekend of August 11. EP have another home draw - this time in the FA Vase first round qualifying - as they entertain fellow SCFL Premier Division Eastbourne United. New Littlehampton Town manager Nigel Geary faces a meeting with former club Worthing United as Golds travel to Mavericks in an FA Cup extra-preliminary clash. Golds will meet either Saltdean United or Crawley Down Gatwick in the FA Vase second round qualifying. Wick have been drawn away Southern Counties East Premier Division Rusthall in the FA Cup extra-preliminary round and are home to Combined Counties Premier Division Godalming Town in the FA Vase first round qualifying. Arundel will welcome CC Premier Division Chertsey Town in the FA Cup extra-preliminary round and host Godalming Town in the FA Vase first round qualifying. Ash Bailey returned as Lancers boss earlier in the summer and his side face a trip Bostik League South new boys Haywards Heath over the weekend of August 11 in the extra-preliminary round of the FA Cup. They have been drawn against Combined Counties League Sheerwater in the first qualifying round of the FA Vase on the weekend of September 1. Sammy Donnelly’s Shoreham - now back in the SCFL - travel to Premier Division rivals Broadbridge Heath for a FA Cup extra-preliminary round clash. Mussels go to league rivals Peacehaven & Telscombe in a second round qualifying tie over the weekend of September 15. Anthony Whittington is back for a second stint in charge of Mile Oak and they welcome fellow SCFL Division 1 side Selsey in a first round qualifying encounter over the weekend of September 1. Southwick - managed by ex-Oak boss Ben Shoulders - have been drawn away to Southern Counties East Division 1 outfit Meridian VP in the FA Vase first round qualifying. Worthing United will meet a familiar face in the FA Cup extra-preliminary round after they were drawn at home to fellow SCFL Division 1 side Littlehampton Town. Golds are now managed by former Mavericks boss Nigel Geary, with the teams now set to meet at least three times in the upcoming season. United also discovered the team that stands between them and a spot in the FA Vase second round qualifying. Mavericks will make the trip to Southern Counties East Premier Division AFC Croydon over the weekend of September 1.